Run by top-level coaches – a week-long residential course between Saturday, 28th July and Saturday, 4th August 2018, teaching how to coach korfball to obtain the 1st4Sport Level 2 qualification. The 27th annual summer camp runs from Saturday, 28th July to Saturday, 4th August 2018 at the Avon Tyrrell Youth Club Residential Centre, set in beautiful grounds in the New Forest at Bransgore, Hampshire. Facilities include a lodge, a lake, heated outdoor swimming pool, sports fields, hard courts and its own woods. The Teaching Children Korfball course on Monday, 6th November 2017 is an introductory course designed for aspiring and current teachers with little or no experience of Korfball working in both primary and secondary school environments. Norfolk Korfball Association are pleased to offer the opportunity for children aged 7-16 to take part in some korfball over the school summer holidays and will be running a three day korfball summer camp in August at UEA SportsPark, NR4 7TJ. 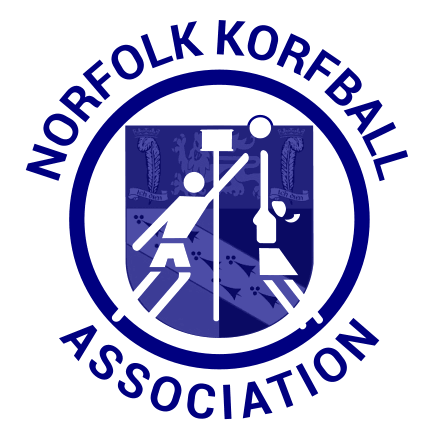 To celebrate all that is good about Norfolk Korfball we will be hosting our annual awards BBQ on Sunday, 14th May 2017. Congratulations to UEA on winning this years BUCS Korfball National Championships! After the success of last year’s sessions and with Norfolk bringing home gold at inter-area last year the NKA has decided to again run a series of senior training sessions.